I hope everybody has had a fantastic and relaxing weekend! 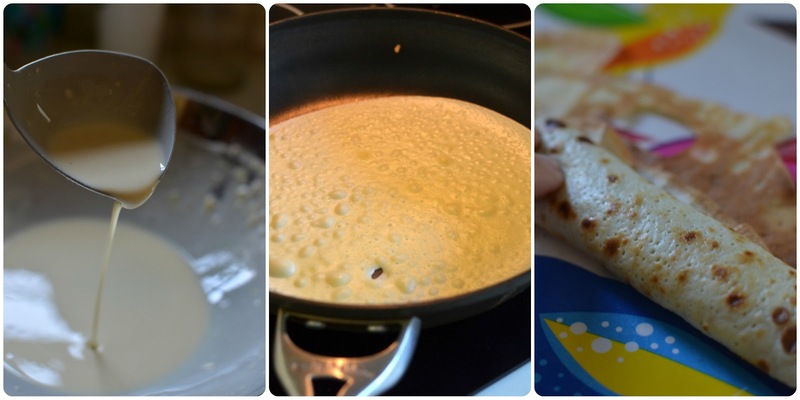 Are you ready for the best crepes recipe? I am sharing it with you today! I have always loved crepes in my entire life. You want me to name more filling?? I am seriously could have crepes any time, any day, anywhere. It is the most simple recipe and your kids will love it too. You only need a few ingredients , you most likely have these ingredients at home all the time. I usually oil the pan a little bit before every other crepes. Combine flour, eggs, salt and sugar in a bowl. Gradually add 1 cup milk and stir until the batter is smooth. Add the remaining milk, club soda and olive oil to batter. Heat a frying pan over medium-high heat and brush with oil. Pour ¼ cup of crepe batter into pan, try to coat the surface completely of the pan. Cook 2 - 4 minutes, turning once, until nice golden brown. Repeat with remaining batter. This time I used Nutella and my home made Peach Jam for filling. I hope you will love this crepes recipe. What is your favorite CREPES filling? 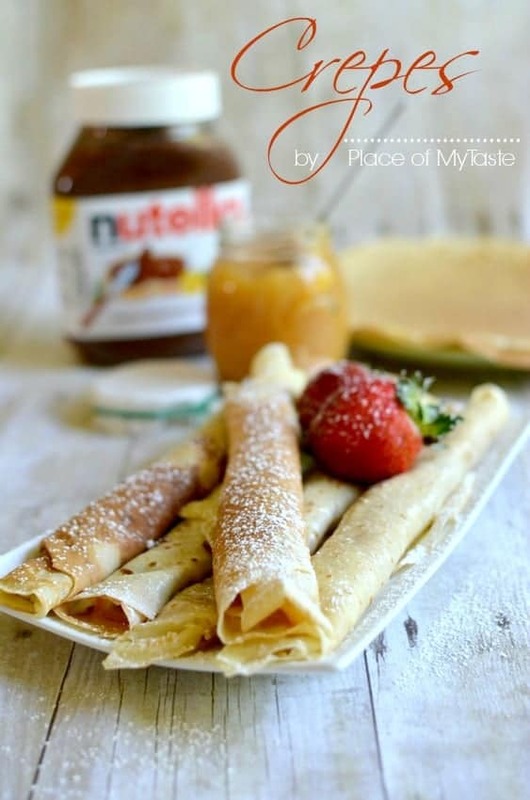 Here are some more yummy dessert ideas if you are not a huge crepes fan. I'm not much of a cook, so I've never tried crepes before. But these don't look too hard…and they look really yummy! Thank you for co-hosting this month's Share the Love Blog Hop!!! Making these is super easy…and you will love it! hope you will give it a try, Cindy! Thanks for pinning, Christine! I just can not have enough of these crepes…LOVE! This is a must try recipe! I hope you will enjoy it!Thanks for pinning! OH my goodness. Crepes are my 2nd true love. I'll have to try this recipe…club soda? fancy! My fav filling is nothing new but always yum: strawberries and cream! Strawberries and cream…Awhhh! Sunds Yummy!Thanks for stopping by! Isn't there another way to say 24 Tbs??? That seems like it start to work into the "cups" category? Confused why we would have to count out so many tablespoons? Weird.